to this 19 days remove sep 3 JAXA eerily similar map to today absent Fram Strait. The CAB is not refreezing well largely because of great cloud coverage and very warm sst's, which gives a surface temperature feedback loop of warming. 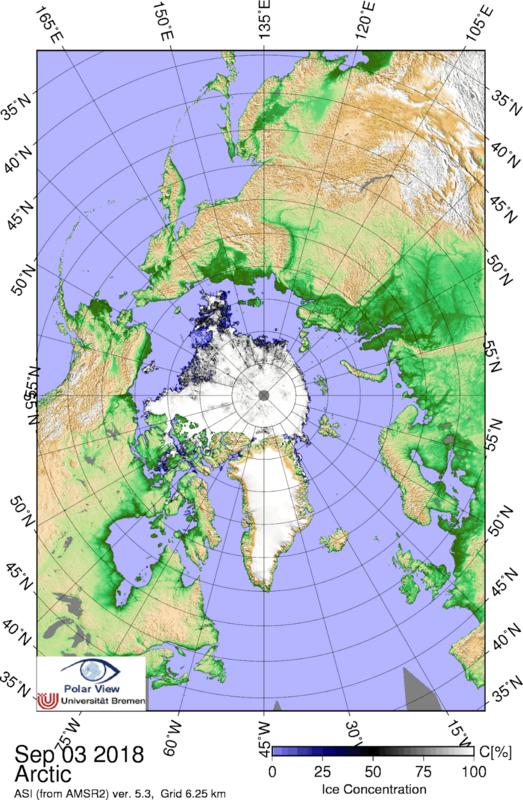 These two factors made 2018 overall #1 lowest extent especially along with very thinned central CAB sea ice, made perfectly obvious by the presence of nearly permanent Arctic Ocean overcast with clouds and the lack of an anticyclone over the North Pole, which always happened in the past at the start of the long Arctic night. The biggest news is for larger populations further South, an abnormal winter awaits them. 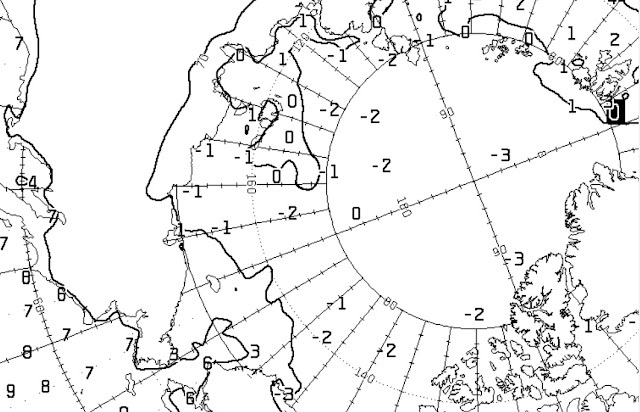 CMC October 24, sign of compaction in North Pole to Greenland sector, with finally a High pressure, an extension first originating from the Canadian Archipelago South. A very unusual, unique, very loose pack North Greenland sea ice was present throughout end of melting season. Now we can attest, this anomaly has largely frozen over. A North Pole High following Minima usually means the start of winter, about 3 weeks late. direct contact with +2 C water , cooled a bit from a summer of continuous warming. ~ 78 N 176 W very slow melting made obvious by individual Goodbye Waves readily identifiable day by day. ~ The waves in this case seem to stream over fresh melted less saline colder sea water. This JAXA portion of melt area is very interesting, JAXA October 4 and 5 has more sea ice than NASA captures, that is not new, but here we see the likelihood that Goodbye Waves are melting over less saline recently melted sea water, not really warmed by significant sunlight. 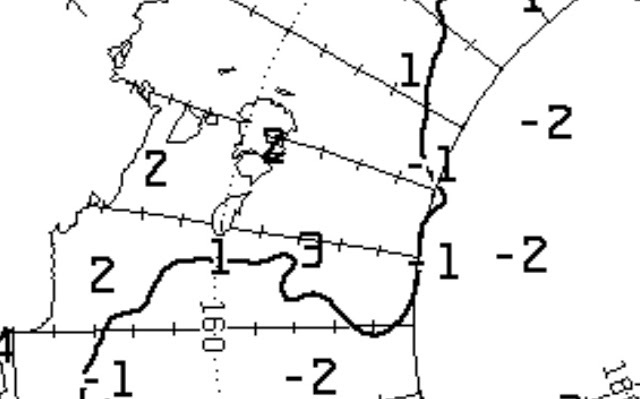 Not seeming warm +3 C sst near New Siberian Islands has some localized impact . 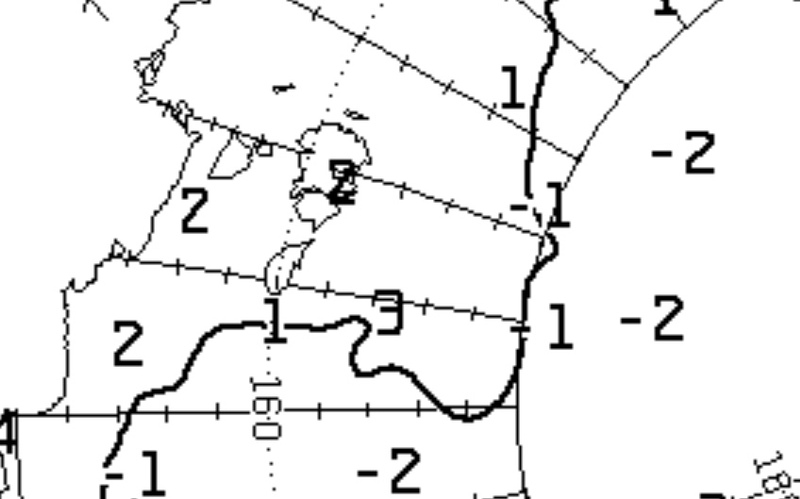 Remember local average temperatures for the 2 guys living on Kotelny (the largest) Island is -11 C in October. No doubt the once much warmed East Siberian sea is still giving off some heat. 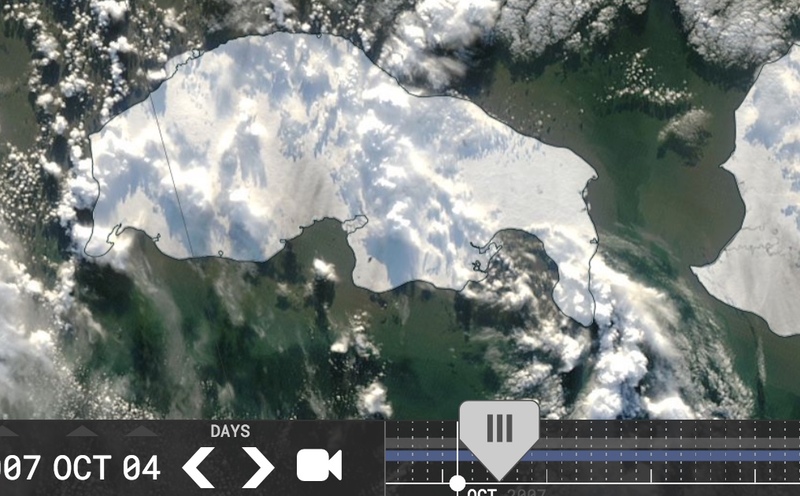 Oct 4 2007, a clearer view, to date, Oct 4 2018 same Island is snowless. Meanwhile since Minimum date, North Atlantic Front is nearing 85 North. JAXA September 23 October 3 2018.